If the primary access, unlocked doors, and windows, seem to be secure, they’ll look for secondary access. A prime target is the garage doors that are attached to the house. Usually behind the garage is a door that many homeowners don’t think about securing as well. Also, the entry from the garage into the house is also not necessarily reinforced with secure locks. Think like a burglar and check how easy it may be to enter your home from the garage access. A burglar’s selection process is simple. Choose an unoccupied home with the easiest access, the greatest amount of cover, and with the best escape routes. Garage doors not only provide a secure place to keep your car parked, they also prevent intruders from entering your home. It’s absolutely essential to have high quality garage locks and garage door security. Electronic Door Locks – Electronic garage door locks use advanced technology to secure your garage door. 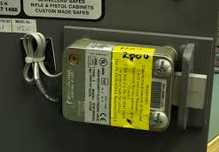 They are more expensive than a general garage door lock, but they are also more secure. An automatic garage door lock provides an extra layer of protection for the home’s largest door, securing it every time it closes. More than 70 percent of homeowners use the garage as the main access point to the home, making safety and security a top priority. Like a deadbolt for your front door, the automatic garage door lock automatically engages and disengages when it opens and closes. Side Door Bolt – The side door bolt lock is the most common type of lock for a garage door. You cannot open the garage door from either inside or outside without unlocking the slide lock. This lock is affordable, secure and simple to use. It is sometimes used together with a padlock for extra protection.. The doors cannot be opened from the outside with this particular garage door lock. T-Handle Locks – T-Handle locks are installed on the outside of the door. this prevents intruders from entering your garage for this lock is installed on the outside of your garage.it also requires a manual key to open it. Deadbolt Locks – The garage door lock is an automatic deadbolt for your garage door. 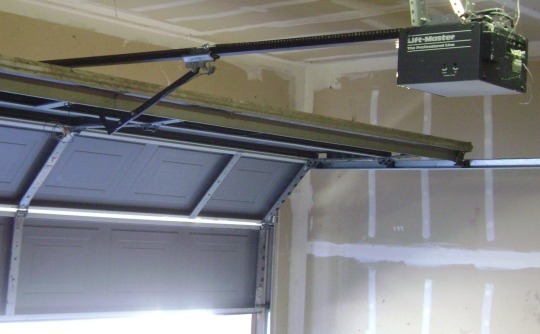 When your garage door closes it automatically throws a heavy duty steel bolt into the track of your garage door. This prevents the garage door from being opened even if the emergency release is pulled. When you open your garage door the deadbolt is automatically retracted out of the track before the door opens Also remember your house entry door. The deadbolt lock is used for entry doors that you have on your garage. 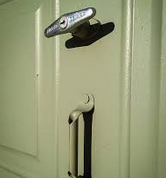 If you have a T-Handle lock, you can have your deadbolt set to use the same key so that one key operates both locks. 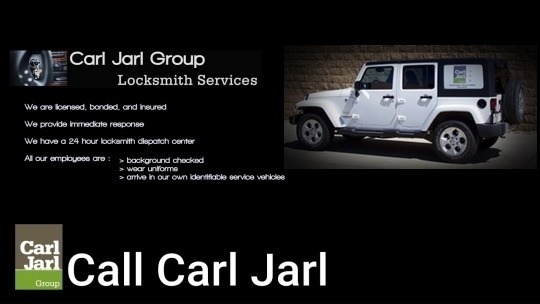 Take five minutes now and get a good local locksmith’s phone number in your phone.Carl Jarl Group 402-393-7800 Our locksmiths are trained extensively in the locksmith field and have years of professional experience. We use the highest quality locksmith tools available, so you’ll get the best possible service. After all, your security is important to you – and it deserves the utmost care and respect.